Greetings and happy St Valentine’s Day! Tuesday went pretty good for us. It only got up to about 30 and there was some cloud cover. There really wasn’t any obvious melting. The ice on my road got a little slipperier. I decided that since the snow was soft before a melt/refreeze cycle, I’d push back the top of the snowbanks along the driveway. It didn’t take long to figure out that it was a little icy for that. There was a nice inch thick ice base, but not enough bonded snow for traction. I am more concerned about the next couple of days. The worst of it looks like it will come today when we could go 4 1 and sunny. Thursday’s forecast high is 37 but we are expecting clouds. 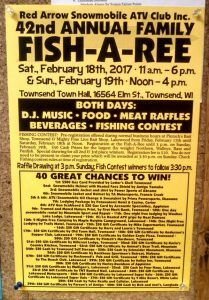 Here are some weekend events..
Last but not least there is a big Fish-A-Ree in Townsend with the Red Arrow club both Saturday and Sunday. 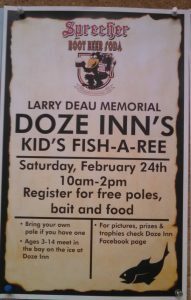 Unless we have a huge meltdown I will be at Rapids Resort again Saturday afternoon bar tending, meeting you guys and getting your pictures for the web site. 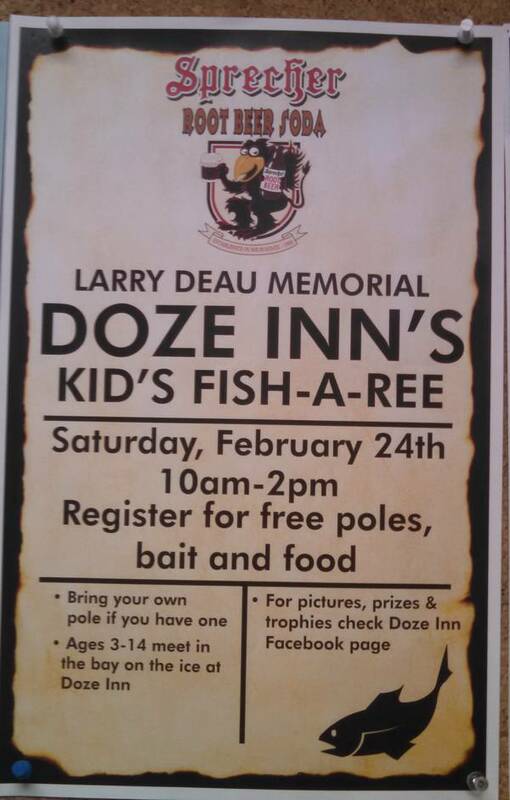 Stop in and say hello! Well it is time to make the donuts. Have a good St Valentine’s Day and thank you for visiting! Ray, trails took a beating today from the warm weather and sun. Lots of burned out hills and curves, and the trails have started to melt fro underneath now, too. 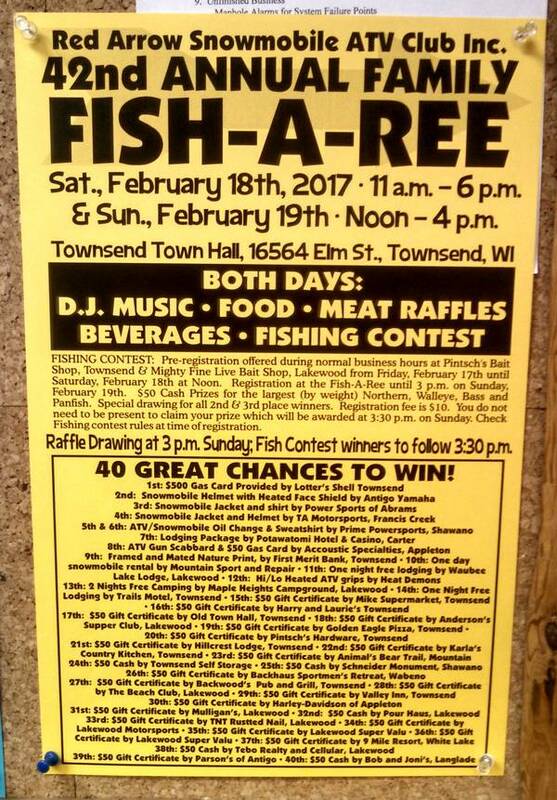 One correction to Red Arrow’s Fisheree- this year it is a one day only event- just Saturday.